If you have made it to this page. 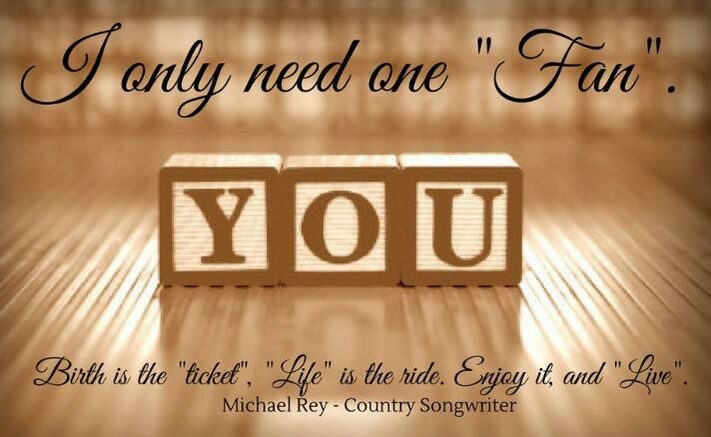 Thank you, for your interest in Michael Rey - Country Songwriter. For us to be competitive in the National and International song placement market. We must have the best recording of our songs possible. Your Contributions go towards making our next song possible. We are not completely dependent on contributions. We handle most of the monetary expenses within our own infrastructure. Your contributions helps offset the net costs. Which is why we say, "Your contribution helps to make the next song possible. Once our songs have been Mastered, we use various outlets to get our songs pitched out to Record label artists, Music Supervisors, Major publishers both Nationally, and Internationally. What do you get for your contribution? You will receive by email, your choice of any song on the Michael Rey Songs page or Christian Songs page of our site. To your right you will see a "Contact us" box.You will receive the FULL LENGTH version of your chosen song/s by email. Simply fill it out in the "Comment" section tell us what song you'd like to receive. Once we have received your contribution. Your song will be emailed to you. note: We use paypal for security. You must be a member of paypal to make your contribution.